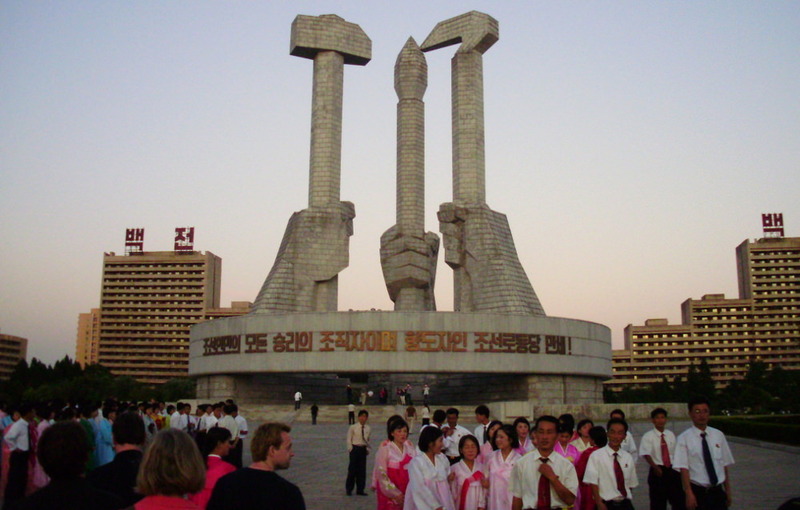 North Korea Monuments - The Workers' Party Foundation Monument is located directly across the Mansudae Grand Monuments at Munsu Street in Pyongyang, capital of North Korea. Please note that the Mass Dances are not the same as the Mass Games. 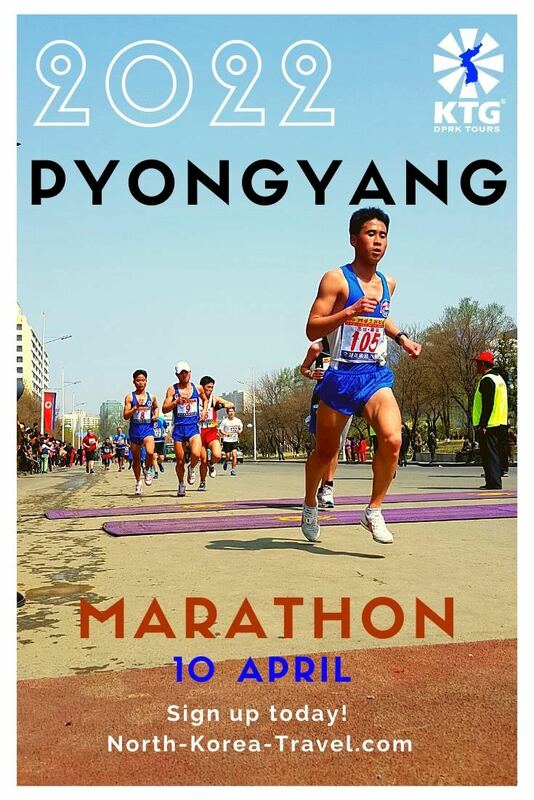 The Mass Games in North Korea consist of a variety of shows and are usually held in the Rungrado May Day Stadium from late July / early August to at least September 9th which is National Day in the DPRK. They tend to be extended until October though this is not confirmed until once they have started. Please contact us if you would like to be updated regarding the Mass Games, though in 2014 we were notified that these will not be held in the near future after over a decade of their being held. When there are no Mass Dances by the monuments you will have the chance to purchase DPRK souvenirs on the spot. 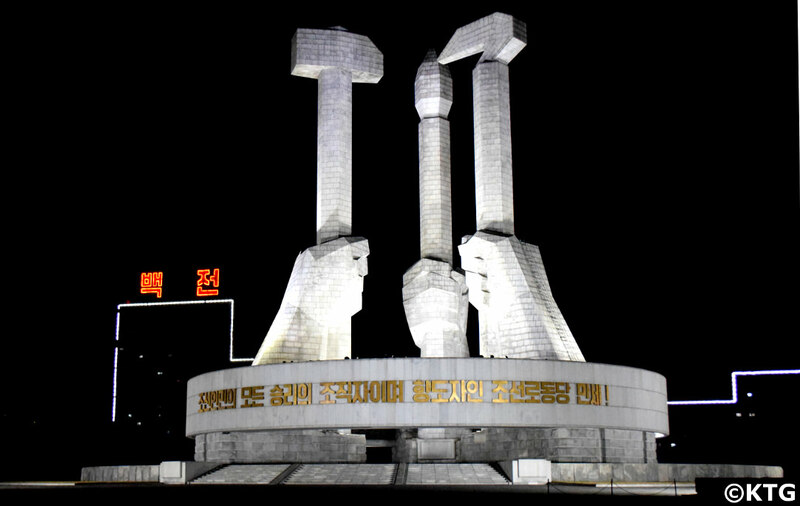 The Monument to the Party Foundation was built in October 1995 (officially the year Juche 84 in the DPRK). 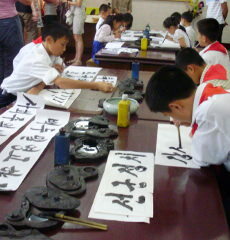 Did you know that October 10th is the anniversary of the Foundation of the Workers’ Party of Korea? It was founded in 1945. 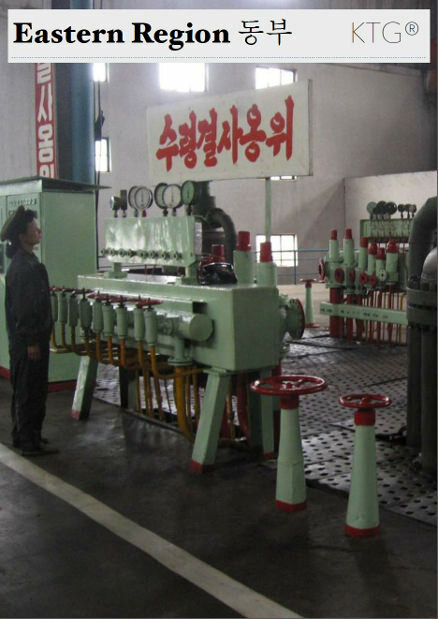 We have tours around this important in the DPRK. Please refer to our group departures section for more details. 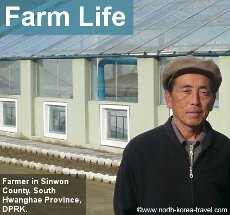 Our group tours are amongst the smallest in the DPRK. 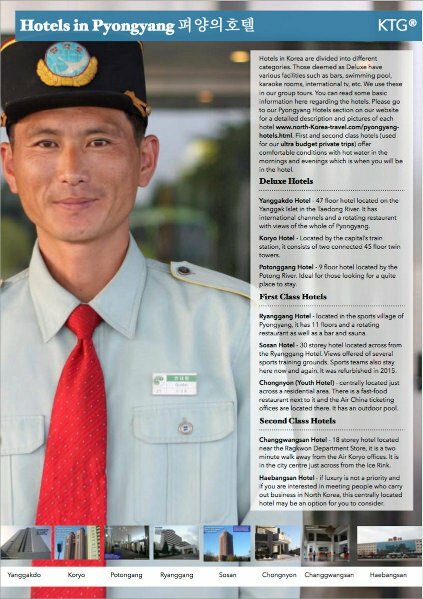 Note on the Mass Dances: we expect these to be held on the major national holidays in North Korea. If they are held you will be able to attend them. However, whether they are finally held or not will depend on local conditions in the DPRK. If it is a priority for you to attend the Mass Dances (these are free of charge) please get in touch with us and we will be able to tell you which are the most important national holidays and therefore most likely to have the Mass Dances held. Go from North Korea Monuments - Workers' Party Foundation Monuments to the section North Korea Tourism for details on departures to the DPRK. 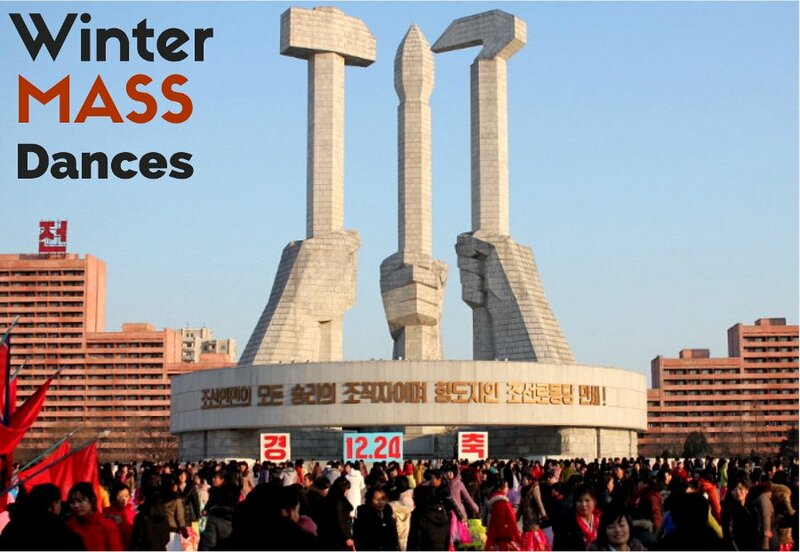 Please check our places of interest section to see more information North Korea monuments.